We will be using the Wii version of Mario Kart. People must sign up by 8:00 PM. 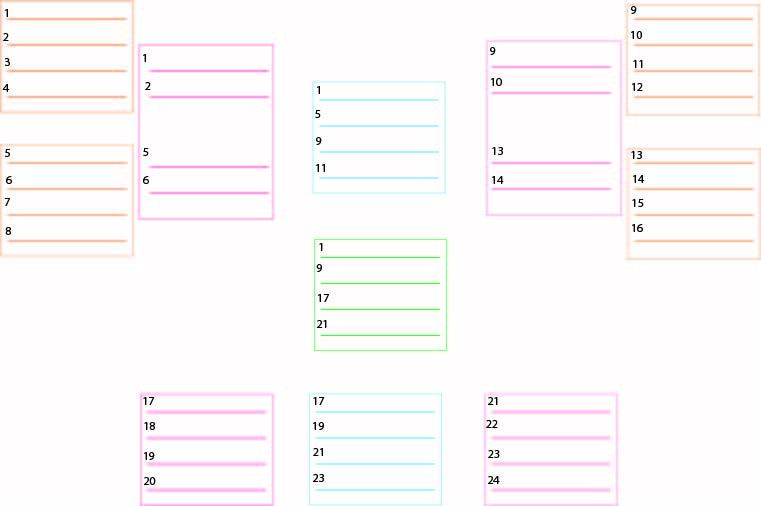 Anyone who signs up after the bracket is constructed will be added as space allows. If the tournament is closed, names will be added to a Just For Fun challenge. For each round, a carefully pre-selected series of four races will be played. Paul and James took special care to select good races for this tournament - enjoy! Nobody is forced to drink. If you are not drinking, you will take the handicap as noted below. For those who are drinking, you will have the duration of one cup - beginning after the "Go" of the first race until before you cross the finish line of the fourth race - to finish your drink (one beer or one full cup of a mixed drink). For those who are not drinking, you must count to five "Heat Wave Sweet Raves" (counting by Mississippis is so 1960s), audibly, before beginning to accelerate at the beginning of each race. No power boosts. Sorry! Only the top two winners of each cup will advance. See example bracket below.